Learn about the SITES rating system at an interactive, full-day workshop on February 22, 2018, in St. Louis, Missouri. Complementing LEED and administered by GBCI, SITES defines with a sustainable site is and elevates the value of landscapes in the built environment. The SITES v2 Rating System is a set of guidelines and performance-based metrics that align land development and management with innovative sustainable design, covering areas such as a soil, vegetation, water, materials and human health and well-being. 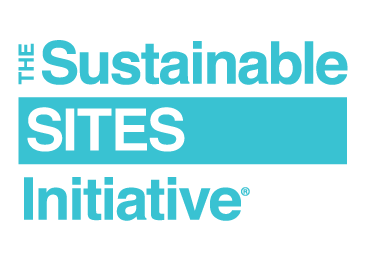 The USGBC Missouri Gateway chapter is hosting the Sustainable SITES Initiative Workshop. Attendees will discover important connections between SITES and LEED and discuss SITES strategies related to active projects. After attending the workshop, you’ll understand the central rating system components and themes, identify the steps for pursuing certification and be ready to start studying for the SITES AP exam. Cost: Early bird price by February 14: $100 for USGBC Missouri Gateway or ASLA members and $150 for nonmembers; regular price: $125 for members and $175 for nonmembers. Student pricing: $75 for full-time students.